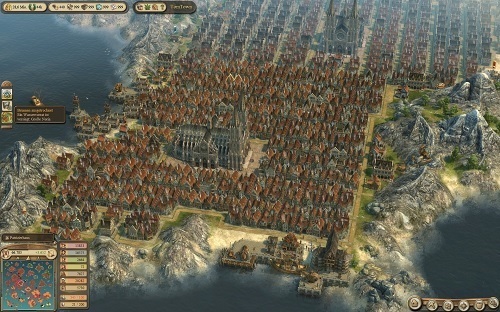 Dawn of Discovery (Anno 1404 outside of North America) offers city building with an economic focus. 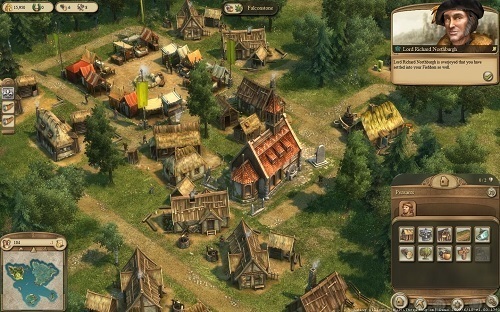 The game is based in a medieval and renaissance style setting and has players building up their own civilisation. The game is available on a number of platforms and has an expansion pack (Anno 1404: Venice) available. The gameplay in Dawn of Discovery doesn’t change much from the previous games in the series with players taking control of their own country. You are in charge of exploring islands, setting up settlements, controlling diplomatic relationships and engaging in combat if the need arises. The game is very much a city building experience at its core and lets players build some amazing monuments to create their ultimate settlement. Most of these epic monuments are carefully broken down into sections which slowly evolve overtime to give a very realistic impression of progress. Trade also plays a major role in the gameplay and is generally required if you plan to advance through the game. By trading you will gain access to necessary resources and gold (which is also earned in smaller amounts from your population). The game is split into the Occident and Orient with players having the opportunity to develop both types of cultural settlements during gameplay although the Occident is definitely the focus in Dawn of Discovery. By now you’re probably thinking that the game has a very sandbox feel to it and that is mostly true (just like the other games in the Anno series). However, Anno 1404 does make a push towards a more quest orientated experience offering plenty of quests with a large selection of rewards. Quests have great variety and come from a number of different resources so it doesn’t get repetitive too quickly. Of all the games in the Anno series Dawn of Discovery is definitely one of the most impressive so it’s a good option for newcomers to the Anno game series and long time fans. Mixes city building, economics and strategy elements. Very quest orientated but plenty of sandbox freedom. The same Anno gameplay that fans have fallen in love with. Build two cultures at once with Occident and Orient settlements. Available on plenty of platforms including Nintendo DS and Wii.